First of all, I would like to thank Zone 1 NZDAC committee for hosting such a successful event, the biggest agility event in New Zealand to date! Wow! It is a credit to the Event Manager Nick Chester and his hard-working team for delivering this extremely well-run event. Next year's NZDAC is hosted by Zone 3 and will be held indoors at the Manfeild Events Centre in Feilding. It will be a hive of activity with 3 rings indoors surrounded by elevated seating for spectators, and stall holders - it will be like a mini Worlds event. Zone 3 would love to have you there. We have been working on the election process and this will be going out for consultation before being presented at next year's ACOD for approval. We held our second open form at our last AC Meeting, which was held in Auckland, we had a 300% increase on numbers from our last open forum. The people that came got to speak with the AC on matters that were concerning them and the AC got to share its visions. A take-away from this was more support for instructors is needed and improved pathways to increase the number of trainers at club level. The AC Reps are going to work closer with clubs, establish who the instructors are and organise workshops to help offer training to our instructors. Currently we have application forms on the AC site that clubs can apply for grants but we want to take this one step further. Zone 3 COF will be underway shortly. Although this currently applies to completion equipment it is a timely reminder that if you are using equipment that failed COF because it was deemed unsafe then it is unsafe for training as well. Just a reminder that levies will increase to .85 cents from 1st of Jan, now is the time for your club to review its current entry fees. AD and ADX are fees however are set by the AC so these will need to remain at $5.00. The Heights Review Subcommittee is doing some great work behind the scenes. I know there have been questions surrounding its progress but I can assure you it is happening and things are coming together. Stay tuned as more documents will be released soon. 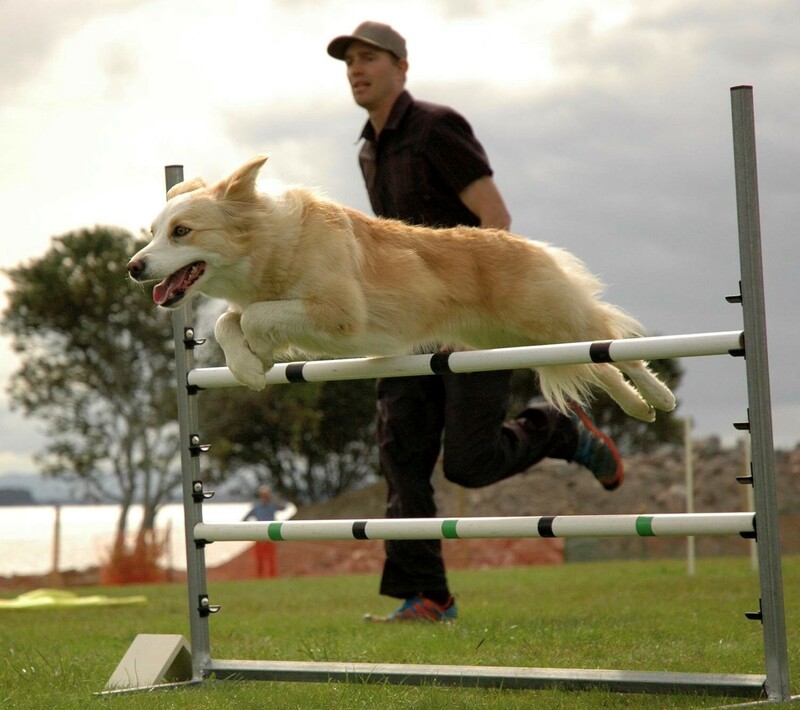 Recently we sent out an inventory sheet to all Agility Clubs in NZ. Can we please have a competent equipment steward to complete the form and return it in a timely manner. The AC needs an accurate representation of all competition equipment. This is a part of standardisation process and helps us to take the next step. We have recently formed an Agility in Schools Subcommittee so we can introduce Agility to our younger generation, we have 10 people on this committee from across the country and we are excited to be getting Agility represented to schools throughout NZ. Marie McDonald has officially been promoted from the Ribbon Trial Panel up to the Agility Panel. Jacqui Wigmore and Janette Davis who have both been promoted from Agility Panel to Senior Panel. It's great to see people move up the panels! Congratulations to you all! We would also like to welcome Jess Tansey , Linda Mortimer, Emily Tighe & Sarah Ridley to the Trainee Panel. It its equally as good to see keen people join the Trainee Panel. We have a large number of Judges judging in Australia next year. I think it says a lot about our sport here in New Zealand to have so many requests to have Judges jump the ditch and take some NZ flavour to the Aussies. We have formalised the approval process where now the invited judge will complete an application form to judge overseas, this will then be signed off by the AC within 2 weeks of the request. With 2018 almost upon us, we have some exciting times ahead for the New Year with different initiates and projects underway, and I am sure we are going to see some positive changes in our sport next year. Christmas is only a few days away and it is a special time of year for you, your family and your pets (especially your dogs) ? I hope you are able to encompass the Christmas spirit and share in the joy of the season. Wishing you and your dogs a Merry Christmas and a prosperous New Year.